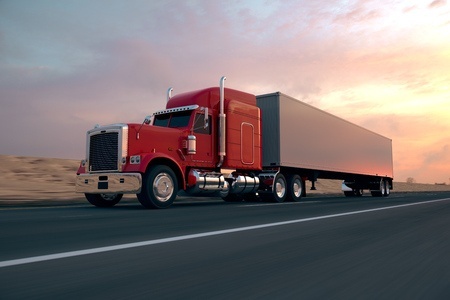 On November 30, 2015, the FMCSA adopted a new regulation that prohibits motor carriers, shippers, receivers, or transportation intermediaries from coercing drivers to operate commercial motor vehicles in violation of certain provisions of the FMCSRs. The areas of prohibition include hours of service, CDL regulations, drug and alcohol testing and hazardous materials regulations. The rule became effective on January 29, 2016. Driver coercion is an area that fits neatly into other theories of liability brought against 3PLs. We also believe, though, that this regulation opens the door to a new theory or at least a new regulatory violation. In most, if not all states, violation of a regulation can be considered prima facie evidence of negligence. If a party can prove in a civil action or if a motor carrier, shipper, receiver, and/or transportation intermediary pleads guilty or is found guilty of violating the regulation, then there is prima facie proof of negligence. Apart from the new regulatory scheme, we suspect given the tone of the industry commentary that accompanied the rule making process that this rule will turn into another area that the plaintiff’s bar will rely upon to argue that shippers, receivers and transportation intermediaries acted improperly and caused accidents. From a practical standpoint, this rule could be used to entangle brokers, shippers, and logistics providers. To be candid, we have not seen what is about to be discussed. Yet. We just believe that an enterprising plaintiff (or defense counsel doing her job protecting her client) will expand broker and 3PL liability to include a claim for coercion some time in the near future. We think that proactive transportation companies can help guard against this potential expansion of the law with clear procedures, diligent business operations, and clearly described and adhered to responsibilities.